Anyone remember the Casio VL-TONE? I sure don't. But it's back in emulated form. The Casio VL-Tone VL-1 Emulator! Though this thread is about plugs and soundfonts, this site is a collection of free samples ranging from drums, bass, loops, and other instruments. There are some interesting vintage Roland drum samples there. Good fodder for the free sampler plugins in this thread, eh? Nice finds, x and aden! Keep adding to this list... it sure benefits a lot of budding synthesists in the forum! These vst's usually work within a host program like Sonar, Cubase, etc. ; if your toneport has a host program that can load vst's, yes it will work but only in that program. You cannot port vst's into the toneport. Only specific hardware, such as the Muse Receptor allow you to load vsts and play them in realtime... without a computer (since it IS a computer in a 2U rackmount). For our Mac/PT wielding brethren, so you won't think I've left you out, here is a compilation of AU/UB plugins that should work not only with PT but with other AU capable hosts. 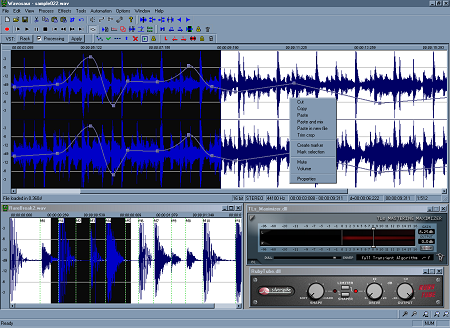 Soundhack also has some OSX freeware with some versions for windows. Lastly, some free RTAS plugins from Don't Crack. Bad Behavior has blocked 76106 access attempts in the last 7 days.